CBS is saying hello to Supergirl later this year, but it’s bidding an arguably non-fond farewell to three of its freshman series. Wave goodbye to the buddy-ish cop drama Battle Creek, the leering procedural Stalker and the Bostonian family comedy The McCarthys. We hardly knew ye. Battle Creek, conceived by Breaking Bad creator Vince Gilligan a decade ago, made its debut on CBS in March with the help of co-creator David Shore of House fame. It brought in almost 8 million people on that initial outing, and with the exception of a slight dip, managed to keep its viewing base above 6 million people. So it’s somewhat surprising that it’s getting shitcanned already, considering there are still four more episodes left in Season 1. But CBS hasn’t exactly treated this series as a top priority anyway. Somebody get Dean Winters on another series, stat! 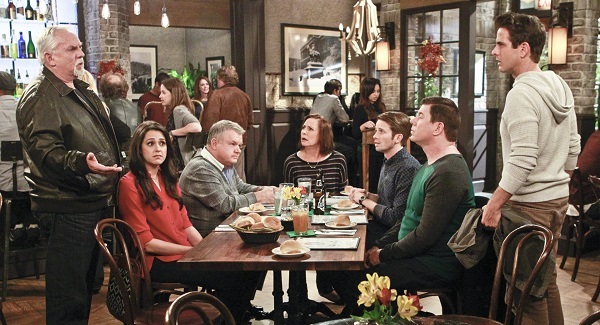 Most celebrated (by me, at least) for keeping Laurie Metcalf and John Ratzenberger on TV, The McCarthys is another series that definitely wasn’t suffering from low ratings on the way to cancelation. Its cornball stereotypes did happen to get railed by critics over the course of its initial eleven episodes, though, which led to the comedy getting pulled from the schedule back in February. And that was after it was given a couple of additional episodes in December. CBS clearly had no idea what they wanted to do with The McCarthys, but now they’ve seemingly finalized their decision. 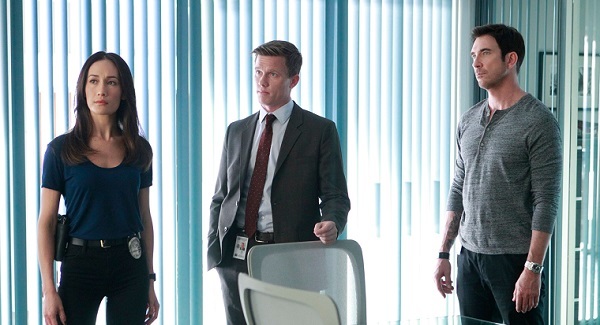 Starring Dylan McDermott and Maggie Q as Threat Assessment Unit detectives who handle, well, stalker cases, Stalker was one of the worst reviewed shows of the last TV season. Despite that, viewers still turned out in droves, with only the last couple of episodes dipping lower than 7 million viewers. There are still two episodes left in the season, which will come to a close on Monday, May 18. As well, Deadline is reporting CBS has passed on the pilot Sneaky Pete, which was created by David Shore and actor Bryan Cranston. It starred Giovanni Ribisi as a con man who assumed the identity of his bail bondsman cellmate in order to hide out from the mob, and he ended up taking down other criminals in the process. To find out the future of all the other shows on broadcast networks, check out our cancelation/renewal rundown list here.